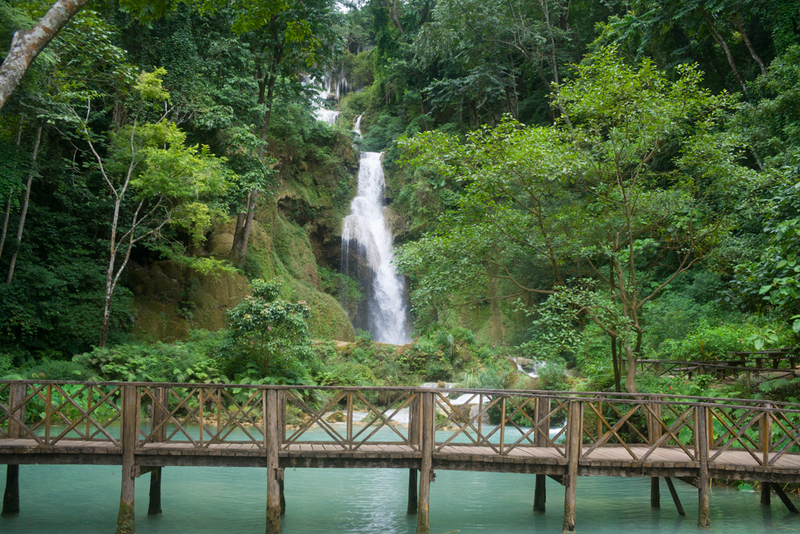 I hired a tuk-tuk to take me to Tat Kuang Si Waterfalls. It was about a 30km journey through smooth winding roads passing by paddy fields and small villages. When I got there I was the only falang in the park. There was also an &apos;Asiatic Black Bear&apos; Sanctuary and a Tiger enclosure. I couldn’t see the Tiger but there were plenty of bears to see. The waterfalls themselves were absolutely amazing, probably the best I’ve seen so far. They were really tall with plenty of water gushing over them. I was glad it was monsoon season and that I’d remembered to bring my mini tripod as I took loads of long exposure shots. As my driver was waiting for me I didn’t go swimming, but I did walk through the jungle to find some more falls, but to no avail. The water was a real milky blue and the jungle appeared set-back from the water’s edge. 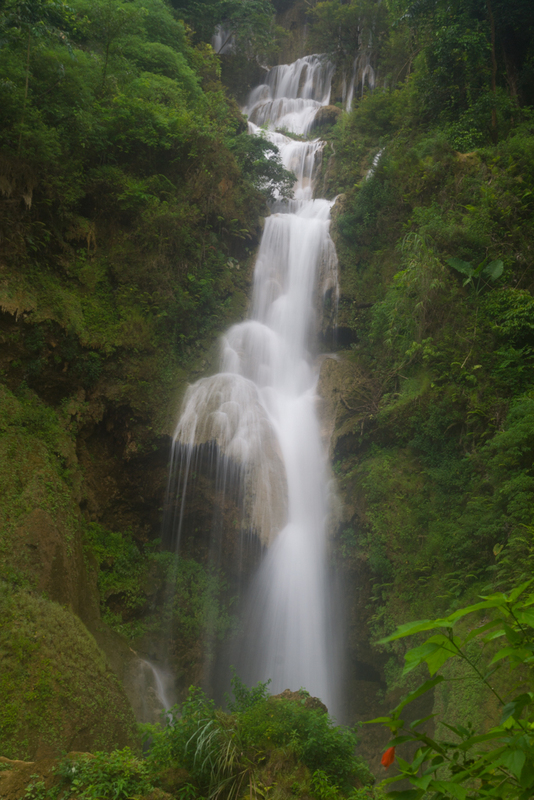 I’d really recommend going here in monsoon - an amazing set of falls.